Hi this course is the basics from my Method Module 1,2,3 I want you to already being specialised in Autism. That means that you are working already with kids or adults in autism or are very motivated and educated parent. Your kid/student has already structure and goes to School or works but there is things you want to come further with as a connection between Sensory stimulation, movements and communication. So if you don’t have those skills this course is to advanced for you. Take the basic course first in Autism and practice it for a while and see if you have enough skills to join this course. You need also to be passionate about helping people with Autism and a lot of patience. As you already seen changes takes time. I started official with this method in Stockholm-Sweden in 1995 while I was making a survey on free time activities students should have sponsored by Schools in Stockholm. As you already guessed it was not much. By then I had to go out to the habilitations and ask for permissions to make surveys that was coded and Anonymous. I didn’t have that many that answered this survey but enough for making some kind of conclusions. One was that School didn’t care that time. The parents that was engaged made free time activities. When the kids where 14 years old they move to institutions. Most popular was to go to swimming pools and ride horses. Remember that only the most gifted parents made this and with own sponsoring Aspberger diagnose was not much diagnosed that that time. while I was consulting other communities the professionals said they didn’t offer that because the parents didn’t want their Aspberger kids to be treated different. So when my survey came out my boss didn’t want me to work there anymore so I stopped. A lot of kids where diagnosed and aspbergers took over . That was not popular in the group with lower functions. Lärarhögskolan in an individual research program as I already made a computer program for kids with Autism in Avery day living. That took me 5 years to do from scratch to programming it and testing it. No sponsoring at all. I thought I should be sponsored threw researching and having my PHD but my professor didn’t allow me to because I was not married and sponsored by my husband. So I was discriminated as a single mother. I started also to be more engaged in politics in the handicap area and alternative treatments for the Green Party that hold for ten year’s. Everything can be find on my homepage www.piaalife.se at references and other links. 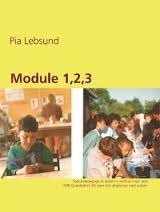 Here is my main book Module 1,2,3 that is 30 years of experiences in working with Autism both as a teaacher in Special pedagogic, coach in starting up free-time activtities in Autism,MBD/Damp, research in Autism.artist, dancer, Wellnes therapist and politician in handicap areas and more. Starting up soon basics in Module1,2,3 I amlearning more about video texnique right now. My client is either a parent with a lot of knowledge in Autism or an educated theacher in Autism etc so my basic course is advanced start already. Basics you can learn with others what Autism is about.Here I have 3 steps Sensory stimulation, movements and Social communications from my expereiences as a couch, teacher, researcher, politician, mother, consultation, artist, dancer, wellness therapist in complementiry arts as I am now also licensed in and much more.Applied to CTAA. In Playful monsters and Lekfulla monster I have a special technique of learning out communication in Autism my third step in Social communication from my Method Module 1,2,3. I started with my Method as Grund teknik för barn och ungdomar med Autism that I wrote about 1995 while I coacded for more free time activities in Schools in Stockholm . I also put together the three steps I worked with understanding fro Benjamin and later on I coached other communities in Stockholms county to start up free time activities. that was so popular so a growth of interest in other autism activities started up as Schools. living places and more around Stockholms county in Täby, Vallentuna, Huddinge. The free time coaches also made a big role in the thinking from free time activities in all the are of Stockholms county so today we have a lot of activities that came out from my start in 1995.Today with total different people that is engage in this .I started up with coaching Sätragårdsskolan that is Bro skolan today in the early 90 th I took Benjamin to Bergbygård and we learn about creating different things in arts and also social communication between other kind of people. That I started up taking an assistant during one week of summertime for 9 years and they learned skills taking this back in Schools. Today one of them is working in habilitation for young children in Autism, Claudia Chaves Martins referensreferensBenjamins artKontaktMin pedagogik autismBenjamins konst-another one is a famous hairdresser that is having art shows for disabled on his place. Benjamin and I had 25 art expos that also explored of creating for Autism. In 2000 Benjamin was in Liljevalchs for youngsters already. Later on art Schools came out more. I started up Lindeparken 2000 with a niche for Autism after my pedagogic method lobbying for 3 years with my colleagues help Mrs Nordin .The staff was not educated in Autism so Benjamin was not treated well and finished after 2 years but the School exists now and mowed to the suburb I live. My son had to move to another city because of this and I had to start this over again so the same procedure in Uppsala in Ottelinskolan but that was better for Benjamin with educated teachers in Autism. He didn’t learn to read a write that speech therapists said he couldn't make that time. I was not giving that up. Benjamin and I talked threw a text phone and I started there to find out a way of communication. Later on we Skyped and more of the communication grew and Benjamin was interested in Christmas ornaments that he showed me while we talked about fairytales. From that our fairytales comes. I started to write the down and illustrated them 2015. the first was Snövit och Askungen .we made now about 10 stories. Benjamin also works with arts, in ceramics painting, screen, papier machier and other techniques .Most of the motives comes from our fairytales .Also his Social communication s he didn’t have anything from School. Benjamin uses Forbrain since October 2016 a research from The Us together with France that helps Benjamin to articulate better. This is scientific proved in the US but not in Sweden .In Sweden Consencus is very limited to what is accepted and also limits the possibilities to grow. my own research is the same thing with my method Module 1,2,3 and even my computer program was not sponsored Avery day with Benji and his pals. Vardag med Benji och polarna. I needed anyway tools for Benjamin and also wrote Benjamins konst-såhär gick det till att skapa av Pia Lebsund that is about the struggle to create that Benjamin needed to do togehter with me for having abetter life.In this e-book also pictures from our exhibition is there. The School didn’t understand this process as they where not educated always in Autism. Even if they where huge lacks in their teachings couldn’t help my son. Det finns ävenpå svenska Lekfulla monster så om ditt barn pratar svenska så får du som bonus den svenska versionen.